These days, drones have become a vital part of the modern military machine. Just take the news that the US military has started using the unmanned craft as squadrons for Apache helicopters, giving their crews more firepower, sensor readings and visuals on demand. 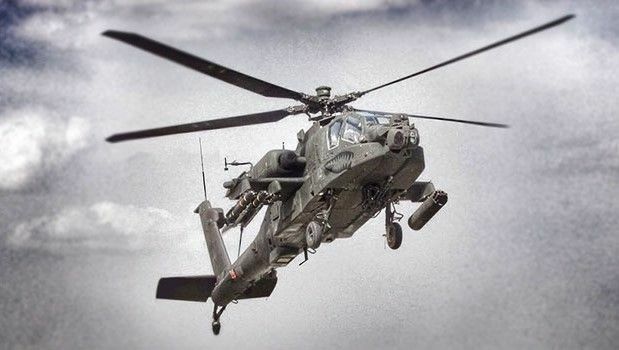 The US Army's long serving AH–64E Apache attack helicopters have recently been upgraded with the drone system, known as Manned-Unmanned Teaming (or MUM-T), which enables crews to instantly tap into the eyes and ears of nearby Gray Eagle and Army Shadow drones. It's not a developmental program either - it's actually being used by US forces in Afghanistan right now. "Now before the unit even deploys out of the Forward Arming Refueling Point, or FARP, they can actually bring up the UAS (drone) feed, look through the sensors and see the target they are going to attack up to 50 or 60 miles away," comments Apache Program Manager Col Jeff Hager in an interview with military enthusiast site Scout Warrior. "They have full situational awareness on that target as they fly inbound and do not lose any data on that target on the way. They don't go into a situation where they are surprised." The AF-64E is the latest version of the iconic Apache, with the attack helicopter now in its 30th year of use in the US military. It's also the lightest and most maneuverable model yet, so adding on a drone system on top might make this the most impressive bit of aerial tech in the US Army's arsenal.